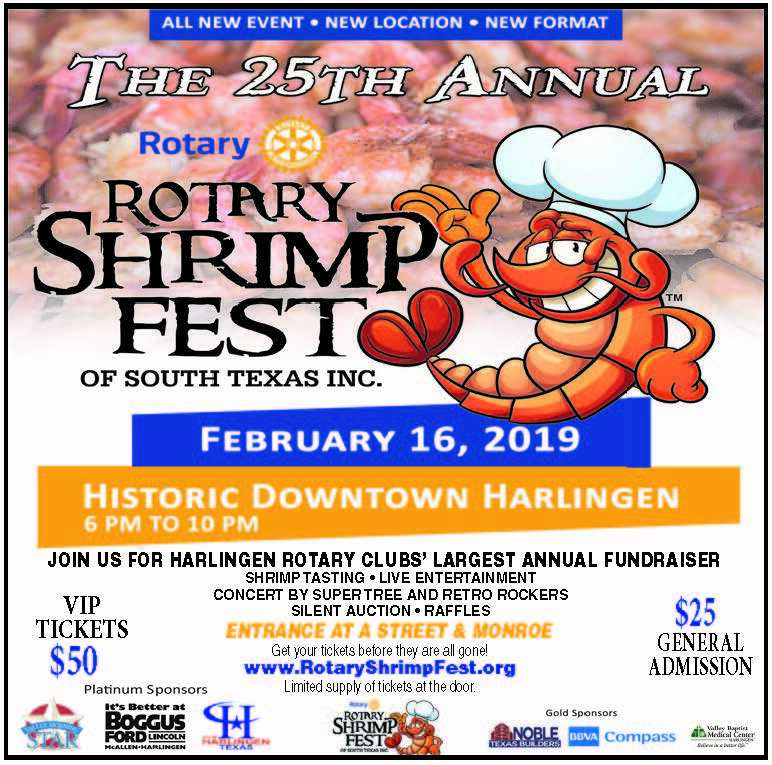 Join the Harlingen Rotary Clubs for an evening of fun in downtown Harlingen on Jackson. 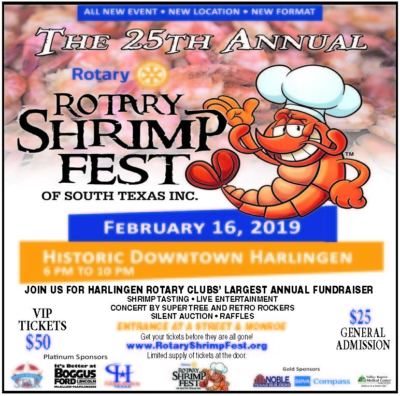 The Shrimp Fest will showcase several RGV restaurants presenting their signature shrimp dishes in a small-bite tasting format. The Retro Rockers and Super Tree will be performing on the main stage. A silent auction will be available. Beer and wine available for purchase. There are two types of tickets to this event, VIP and Standard. Please read the descriptions carefully before purchasing. As the Rotary Clubs’ largest annual fundraiser, profits from this event go back to the clubs to support their philanthropic efforts in the community. These include campaigns to assist with adoption awareness, literacy, and assisting people in need of food, clothing and school supplies. Further programs include veteran programs, Habitat for Humanity builds, and college scholarships for high school students. Funding also helps the Harlingen Dog Park, Beautifying the City Parks and more.